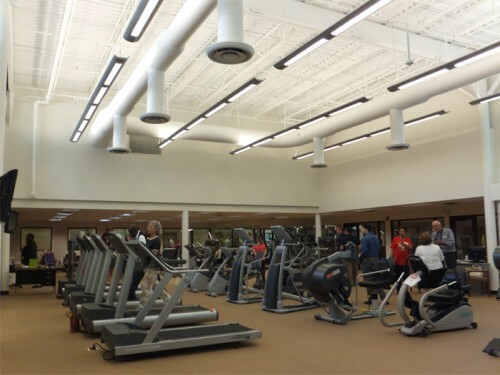 SWSG was retained by the City of Rockville to conduct a study to determine the feasibility of expanding the Fitness Center at the Rockville Senior Center. The feasibility report documented the results of several technical analyses pertaining to the expansion of the building. The team conducted interviews with multiple focus groups and conducted a public survey to obtain input for the report. Once the feasibility report was approved, the City authorized SWSG to proceed with the design. Architecturally, the addition was designed to fit harmoniously into the existing surroundings without significant tree removal or change to the park-like feel of the property. 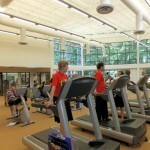 The administrative offices were renovated while maintaining spaces for the gift shop and multipurpose rooms.The expansion includes 6,300 SF of additional space for fitness equipment, exercise areas, and locker rooms. 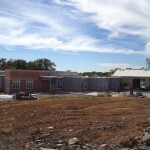 SWSG architectural and engineering services provided construction documents for nine projects including a major HVAC upgrade, natatorium, spa and locker room tile, orchestra pit, theatre rigging, and fire alarm system. Architectural details for the natatorium tile included demolition plan, natatorium floor tile layout, spa floor tile layout, ceiling plans, interior elevations and front reception counter plans, swimming pool ramp handrails and storefront elevations and details. SWSG was selected to provide full construction management services to coordinate the construction of these multiple projects.